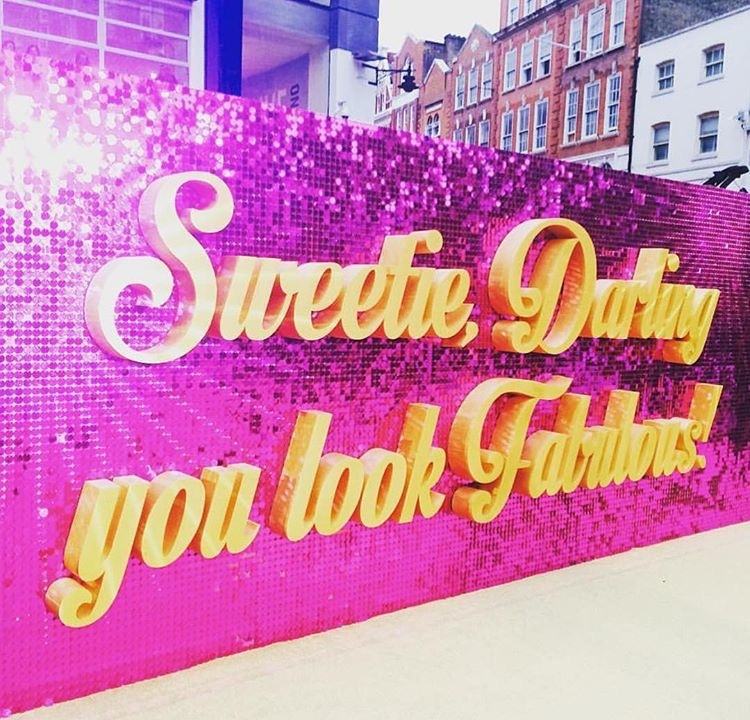 Sweetie Darling if you follow me on Instagram and Twitter you will know that last night I went to the Absolutely Fabulous Movie world premiere in London’s Leicester Square! I love Ab Fab, like love love love. I love everything about it and above all Patsy and Eddy are just the two best characters going, why is TV not like this anymore? How did someone like me get to go? Well I entered a competition with Benefit Cosmetics thinking I hadn’t got a hope in hell, and at the end of last week I got an email to say I was a winner. Cue mass excitement! Our first stop was to Good Ship Benefit at Victoria Embankment to pick up those all important tickets. 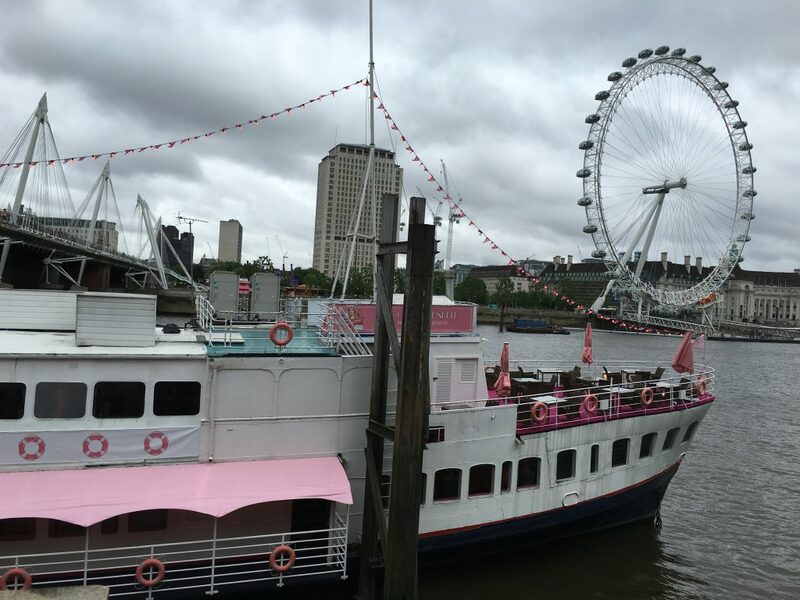 For anyone who doesnt have a clue what this is, Benefit have commandeered a ship on the Thames and have kitted it out with all things Benefit for all to enjoy. From cocktails to afternoon tea to getting those brows done, it is an almighty ship. 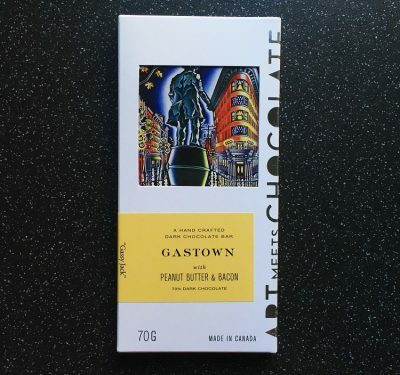 If you know me then you will know I am a Benefit addict and as you can imagine I was super excited by climbing aboard the Good Ship, and boy I wasn’t disappointed. 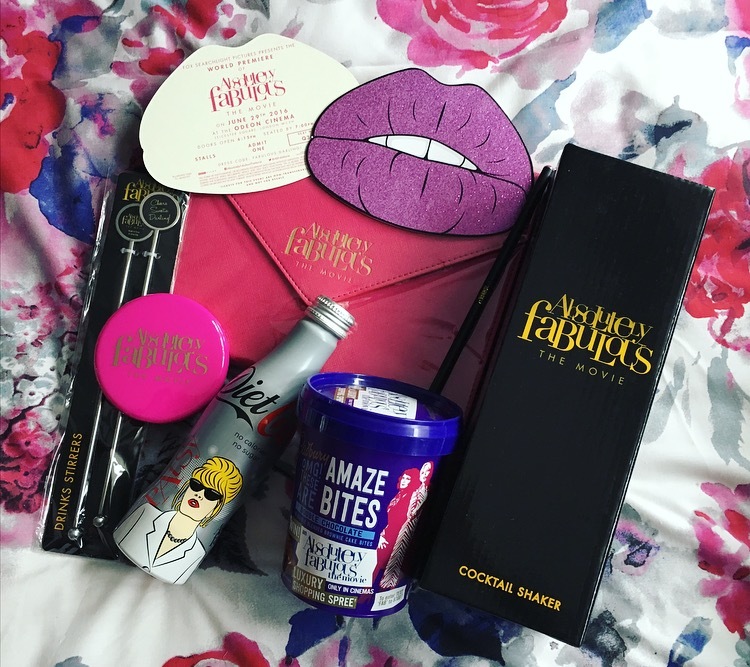 The ladies onboard were lovely, they handed us a very unexpected Ab Fab goodie bag, we had a tour and even spied the gorgeous Lisa Potter Dixon in the Lashitude Lounge. I love the ship, it has pink carpets what is not to love! A must see and one definately to go to when it is sunny and enjoy a cocktail on the Holla Deck. Off to the premiere! As expected Leicester Square was packed full of fans, paparazzi and fellow ticket holders. There were some of the most amazing Drag Queens I have ever seen in my life who oozed fabulousness and sassiness like you wouldn’t believe, and completely owned that gold carpet. How amazing are these Tickets! Standing in line we waited in anticipation of how the heck we get into the Odeon, errrmmm walking the gold sparkly carpet is how we got in! 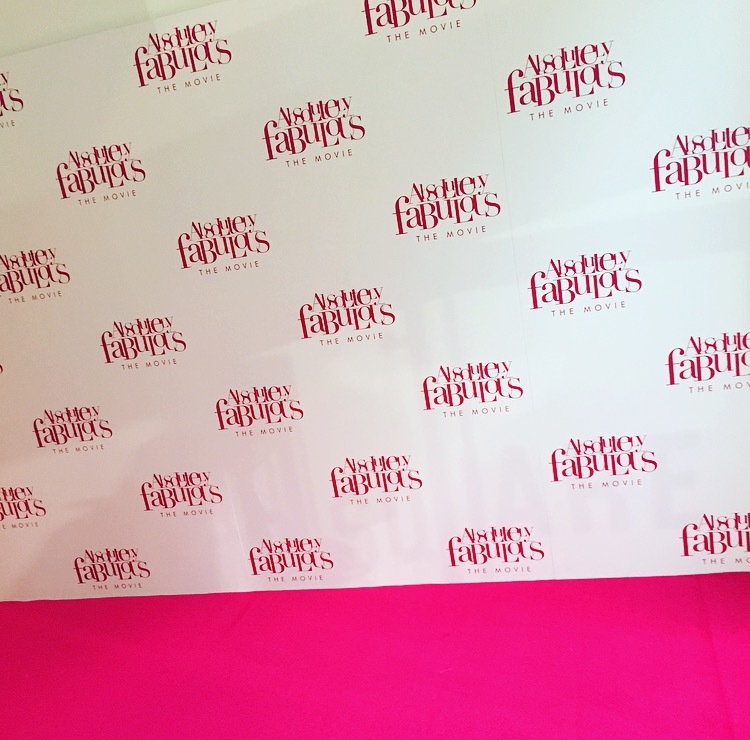 Yes that is right little old me got to walk the same gold sparkly carpet as the stars, albeit security ushered us nobodies along as quick as possible, but we still relished in the moment, snapping pictures and selfies galore! 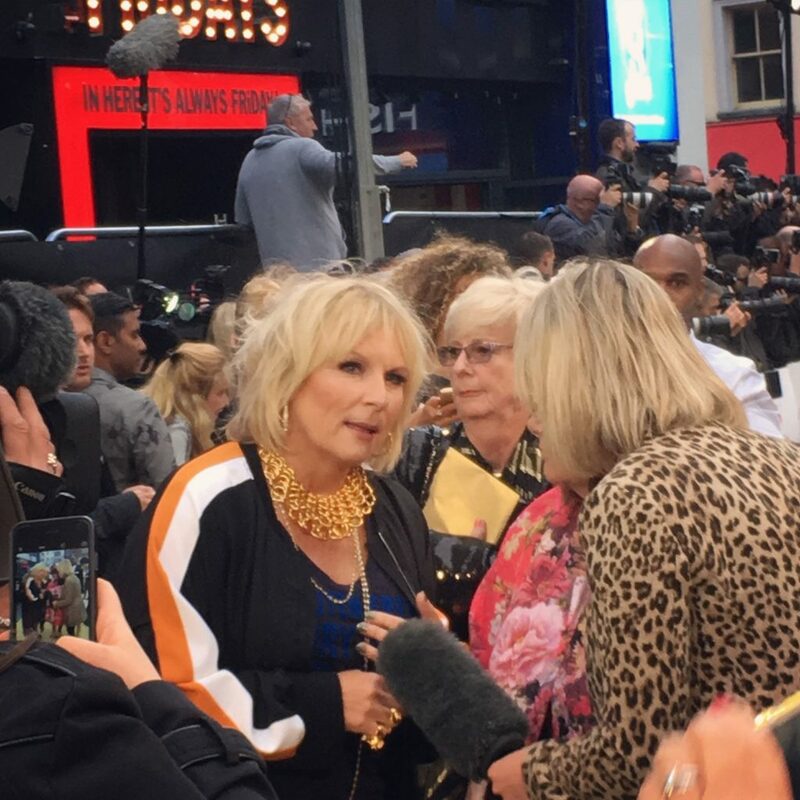 We even spied a few stars, Dawn French, Rylan, Louie Spence who had the most amazing pink sequinned jacket that I need in my life, and also the one and only Jennifer Saunders, eeeek! Stepping inside we were greeted with some champers, is there any other choice of drink when it comes to Ab Fab? First off all Odeon cinemas need leopard print seats! The cinema is split into two levels, bottom level for us and top level for the stars. 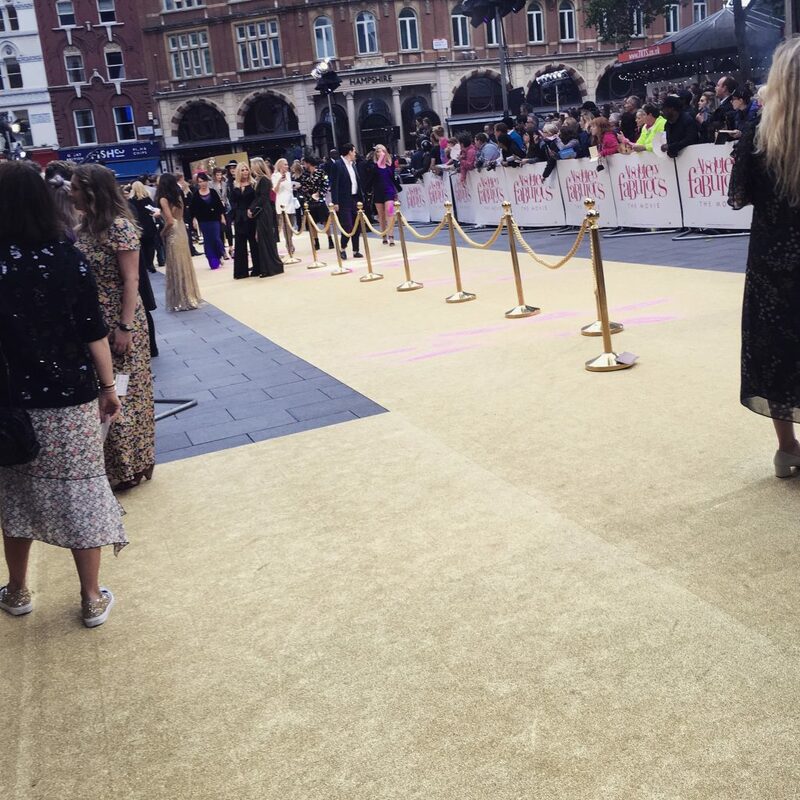 On everyone’s seats were some Ab Fab treats – Cadbury Amaze Bites, Diet Coke and water to enjoy during the film. Prior to the film starting the Director and main cast came on stage, Jennifer gave a little speech and then the film began, none of this advert nonsense, we got stuck right in. 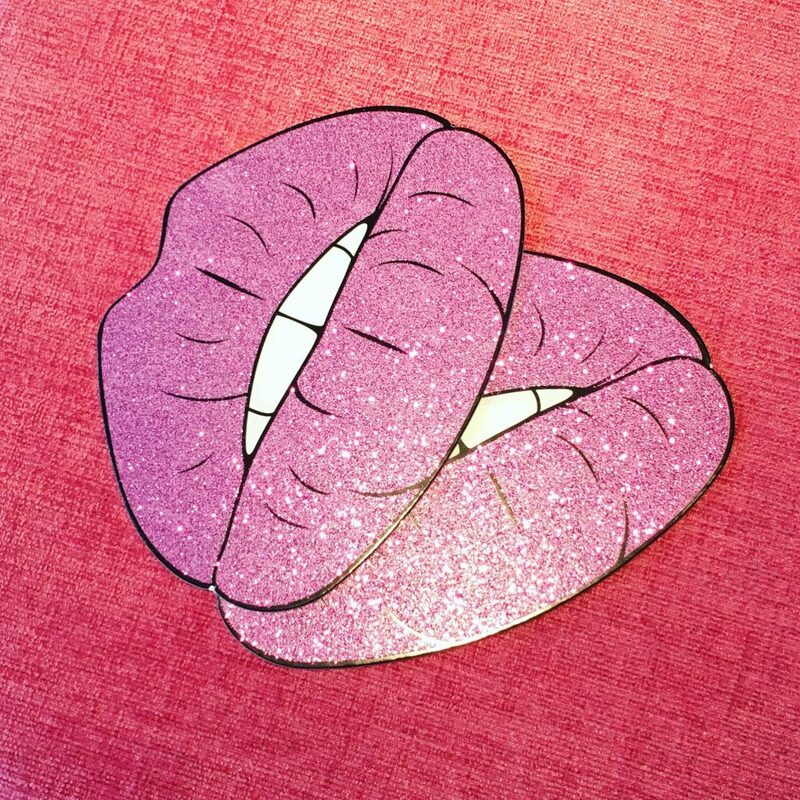 Without spoiling it the premise of the Absolutely Fabulous Movie is this … In an attempt to become Kate Moss’ new PR, Eddy accidentally kills her… oops. 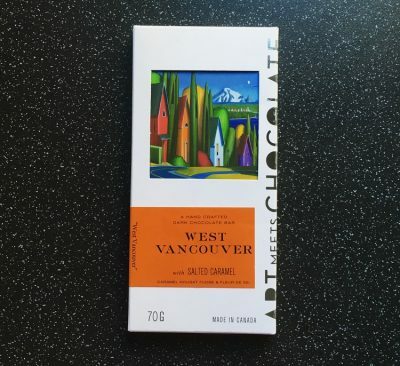 Just when life seems no longer worth living and having run out of money, they have a chance to escape to the south of France, where there’s nothing stopping them from living the high life forever! Running away to the French Riviera takes them on an adventure bigger than they’ve had to date. If you love Ab Fab you are going to love this movie, it is a simple as that. As if they have never left our screens, Edina and Patsy are just how we love them, questionably dressed, defying any form of ageing and drinking Bolly like its going out of fashion. There was an endless amount of showbiz cameos, springing out from nowhere yet not so much to detract from the two leading ladies. Yes the storyline is a stretch but I cannot help but love the film. Although we all adore Jennifer Saunders, Joanna Lumley is the saviour with her quips, snipes and that infamous laugh, and she is the only woman at 70 who can possibly look that blooming amazing dressed up in a tuxedo with a moustache, wooing the richest woman in the world. As the credits rolled the audience roared with applause. This was by far one of the most amazing nights out ever. The Ab Fab Movie is 91 minutes of Sweetie Darling, Bolly filled, paint the air blue irresponsibility that just makes this duo Absolutely Fabulous! 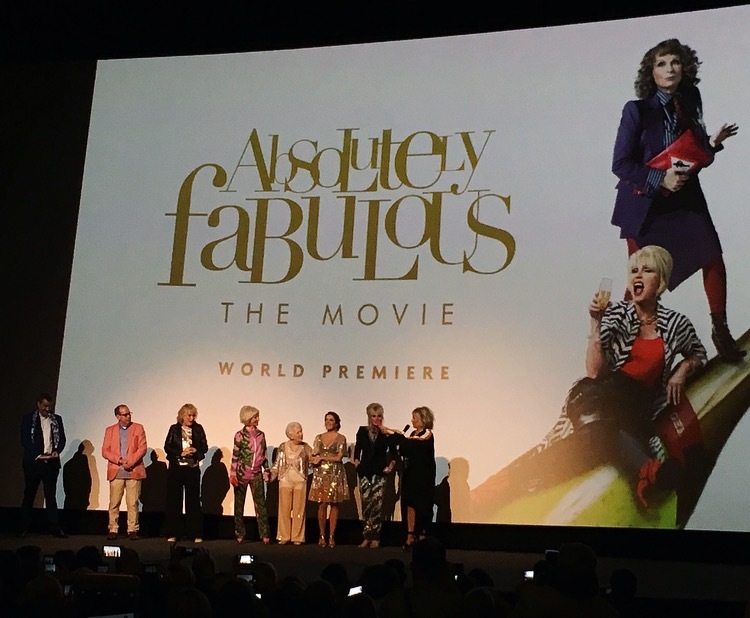 The Ab Fab Movie is in cinemas from tomorrow in the UK. Sister Act: A Devine Musical Comedy?